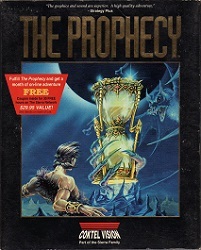 The Prophecy was titled "The Prophecy" is North America. However European releases were titled "Ween: The Prophecy". The game was released for the IBM PC, Amiga and Atari ST. The PC version contains five 3.5" HD floppies.